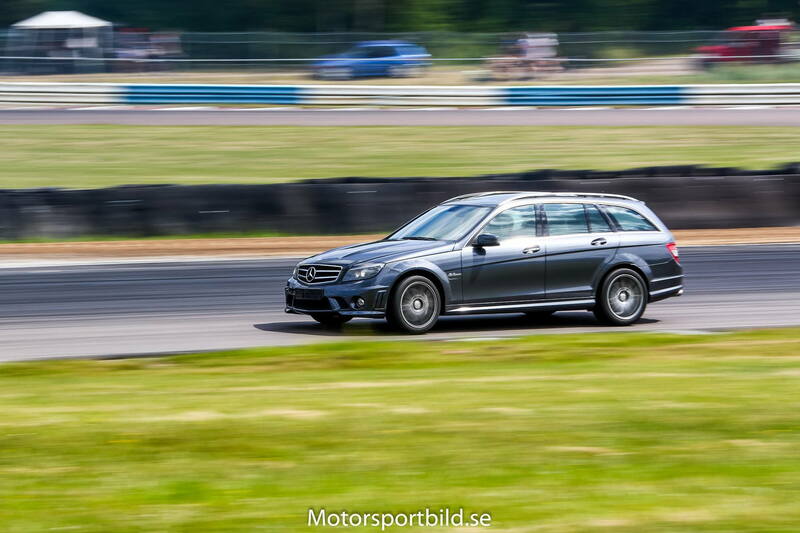 I´m having some problems when I´m driving track with my estate C63 PP -09. The front tires gets worn out on the outside. I´m running Michelin Cup2 and have tried different tire pressure but no big difference. I think I need some more negative camber than standard is offering. Love it. No matter what you do with that big car it's going to be a consumer of all things track. Things to think about are tires, brakes, bushings, etc. Camber plates on the front, limited slip differential, two piece brake rotors to start. How many times have you had it on track and how many track days do you have scheduled in the next couple of months? I have Performance Package so LSD and two piece rotors are original. I do maintenance much more often then is recommend. So you recommend camper plates? Any specific? Kmac makes some camber plates that I think a couple people on here have. I think BLKROKT has them. I do think they add some height, so that might not be ideal if you don't have coilovers. I have no experience with them though. The KMAC camber plates are great. I have about -3deg now in front. I'm lowered on H&Rs - the camber plate is about 3/8" thicker than OE, but my height in front looks spot-on. Think that's where you need to look first OP. And try running a little higher than normal tire pressure, until my tires are warmed up I roll pretty far onto the sidewalls also. I use a pyrometer to get my pressures right(usually see 6-8psi increase cold to hot depending on track and ambient temps), but somewhere around 41F/40R psi hot is the sweet spot for my car. Last edited by BLKROKT; 09-11-2016 at 05:54 AM. Update - we have managed to design the replacement top strut mounts so there is no height increase and yes these provide some serious adjustment on track days to reduce understeer. Allowing to go deeper into the corners with increased traction and braking response. They’re available in Stage 2 – Street/Race or Stage 3 - Full Race (elastomer centers or spherical bearings/no flex). Fit with OEM diameter springs or all brands of coil overs 60 to 70mm ID. NOTE: Also include separate radial thrust bearings for steering loads. Also manufactured for the W204 Models (and in fact to suit every Mercedes Model 1968 to 2016) the 4 front lower arm bushings. The lower inner for precise Camber and the front thrust arm replaced for precise Caster. The unique patented design allows single wrench adjustment on car accurately (underload) direct on alignment rack. These front bushing kits provide up to 4 times the adjustment range of the one only offset position fluted bolts (which offer a minimal .3 of one degree 1/8”/3mm). The actual 4 OEM bushes are the highest wearing front bushings. K-MAC bushings are designed with twice the load bearing area and are importantly 2 axis/self aligning but without the use of oil or air voids. Result is improved brake and steering response. Similar kits for the rear manufactured. Camber adjustment for the first time with extra Toe to compensate for this new Camber facility. Advantage over rear adjustable Camber arms is ease of access to adjust and to resolve inner edge wear the K-MAC adjusters move bottom of the tire inwards not top outwards which reduces all important clearance to outer fender. Finally– also manufactured (Street/Competition) is set of ‘12’ rear bushings for the 6 multi link rear arms. Designed to rid unwanted flex to get power/traction to the ground and tauter handling response/rear stability. Unlike unforgiving short life delrin style bushings that soon pound out, K-MAC bushings incorporate all the proven features needed for extended bush life –maximum diameter, but lightweight alloy casings with bonded elastomer bushings to contain side loads and large nickel chromed steel centers.